Even though your student's transition to college involves a lot of change in your family, please rest assured that your student needs your support and encouragement now more than ever. 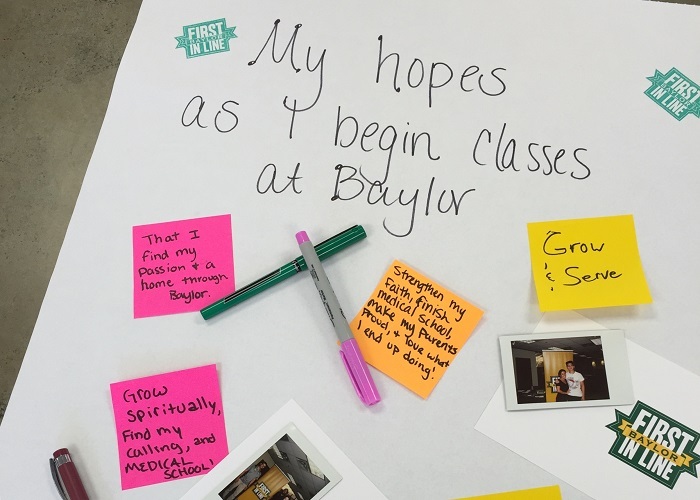 You play a critical role in your student's academic and personal success, and Baylor is delighted to partner with you to support your student's college career. If you are active on Facebook, please add "Baylor First in Line Parents" to be a part of the FIL Parent FB group. We post information, articles, and engage in discussions, so join us! The following books may also serve as helpful resources for first generation college students regarding the academic demands of college. These books offer helpful strategies for academic and personal success. There are also a number of titles by first generation college students about their experiences in college. These books can be helpful and encouraging to your students.